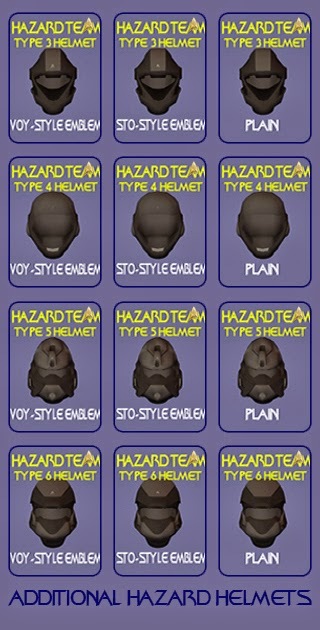 A new set of helmets and packs to add some versatility to your hazard team. 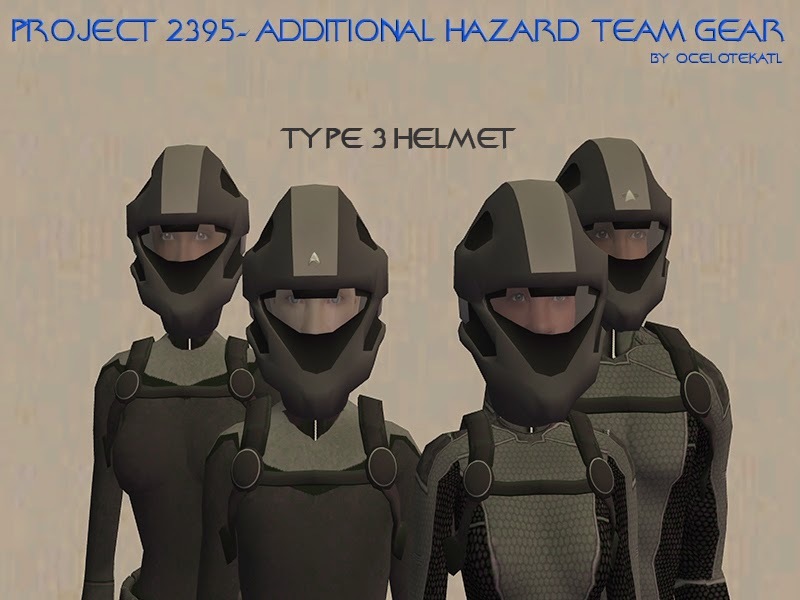 This set includes 4 new helmets and five new gear packs, and is meant as a supplement to the Hazard Team Gear set. 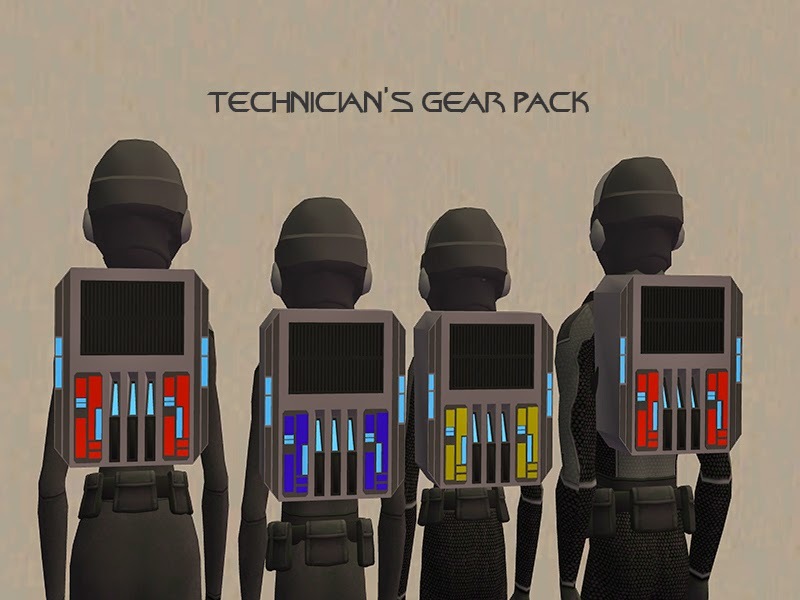 All gear is for teen-elder. 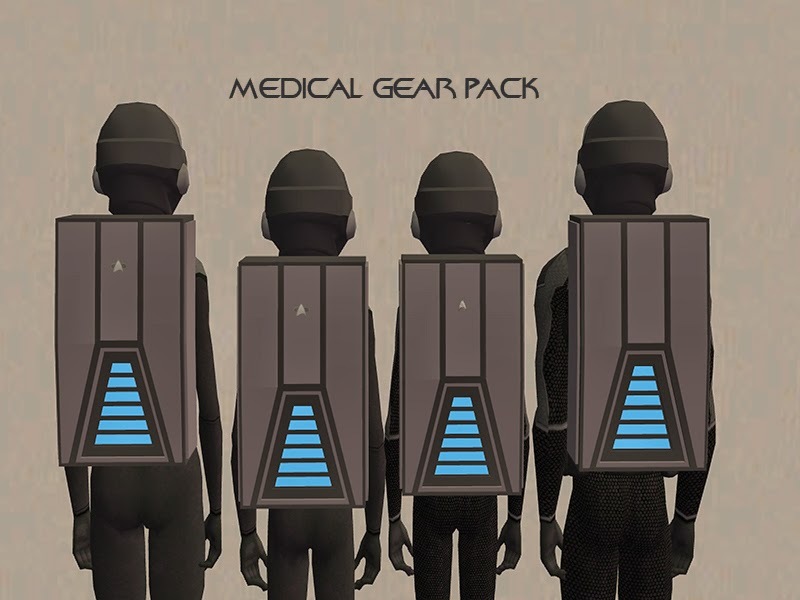 The adult and elder gear packs can be combined with a phaser rifle. 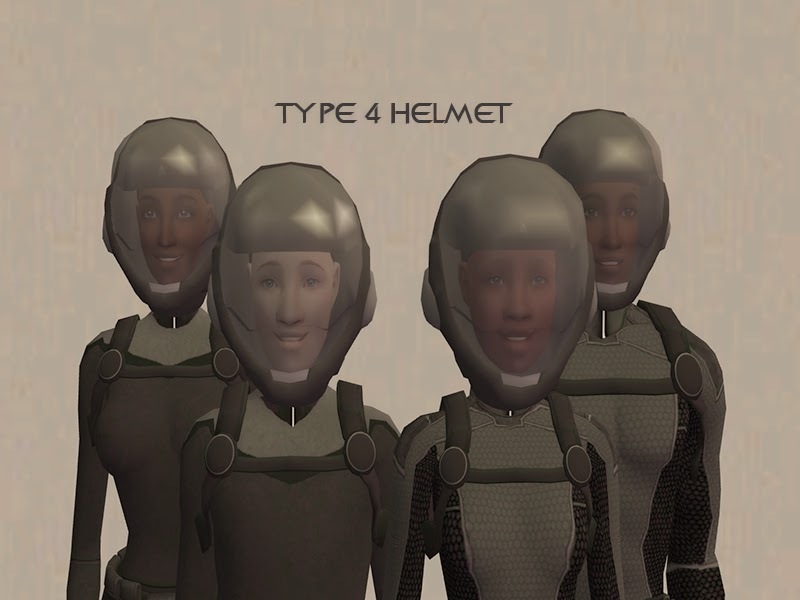 These are a conversion of some helmet meshes at ï²nvî§íΩⁿ at 3D Warehouse, but it took me a hella long time to convert, remesh, and map them. 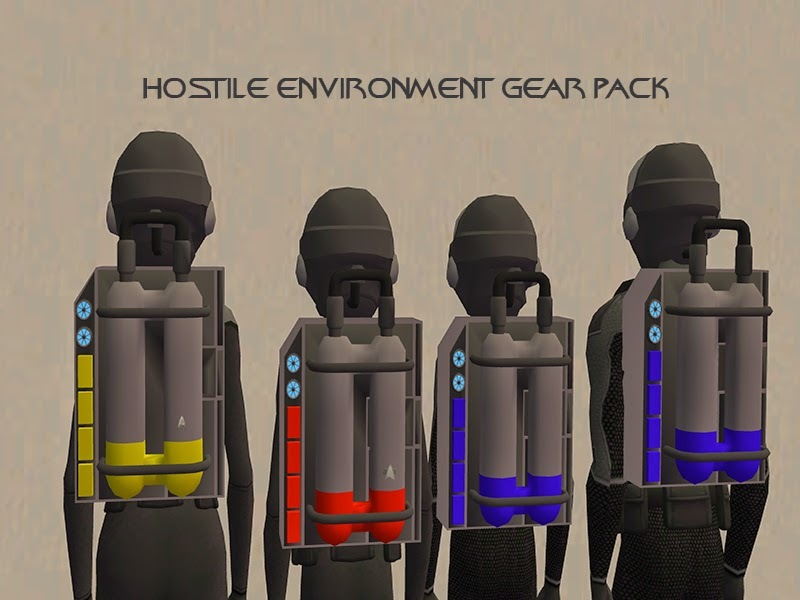 These are intended for space and for hostile atmospheres. 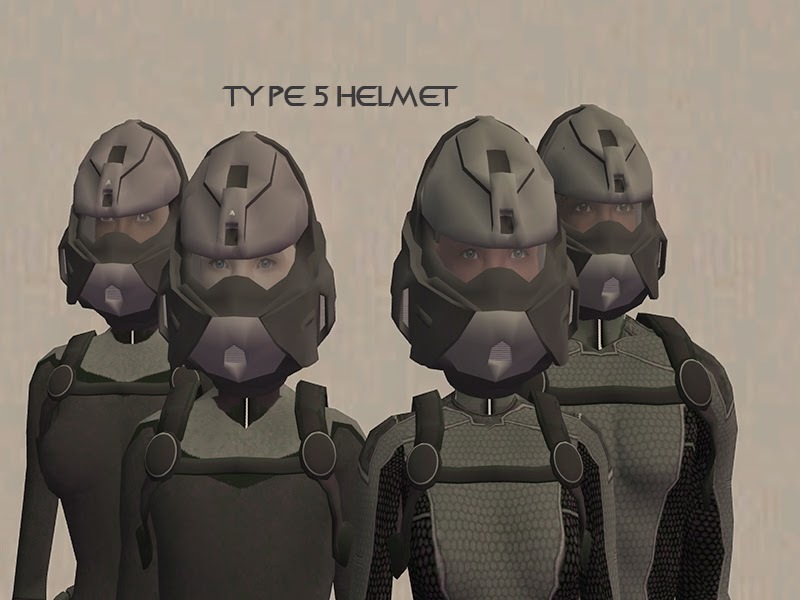 There are three design options: with the VOY-type emblem, with the STO-type emblem, or plain. 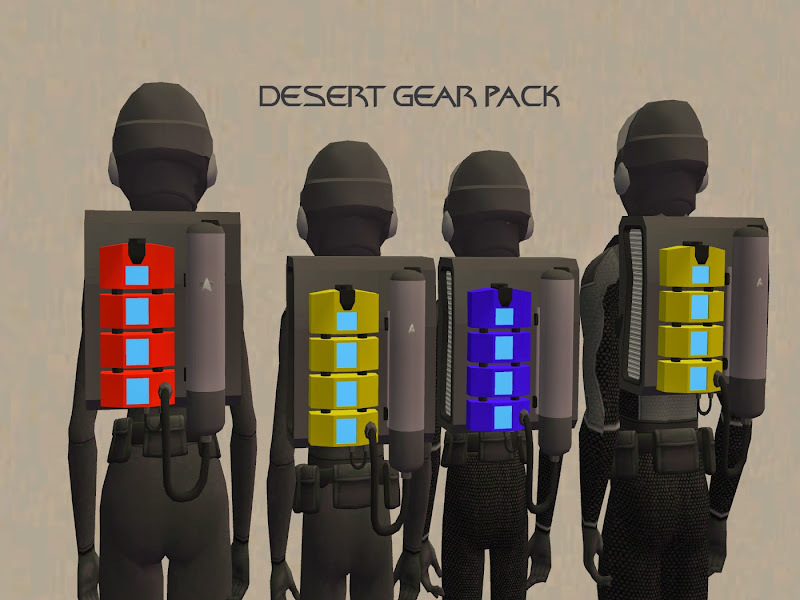 And these are the gear packs. 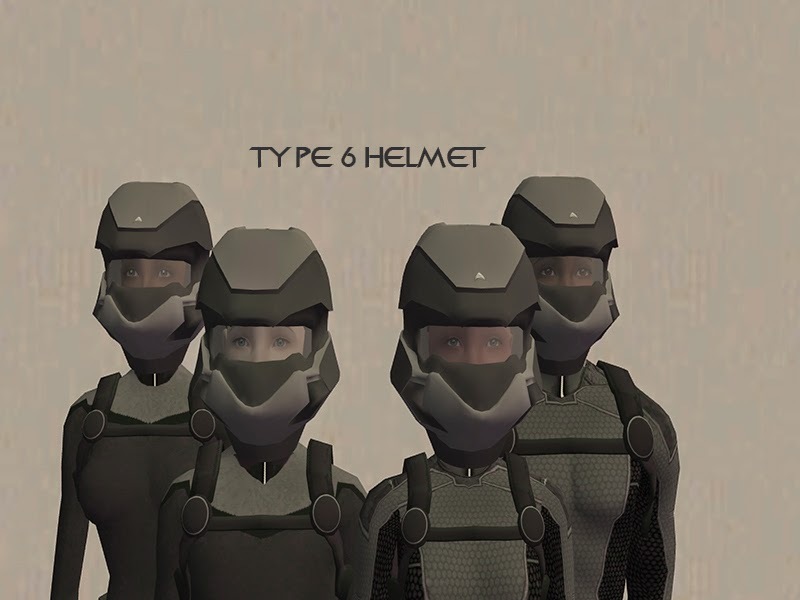 The meshes were taken from THIS greeble pack by Wayne Jones. 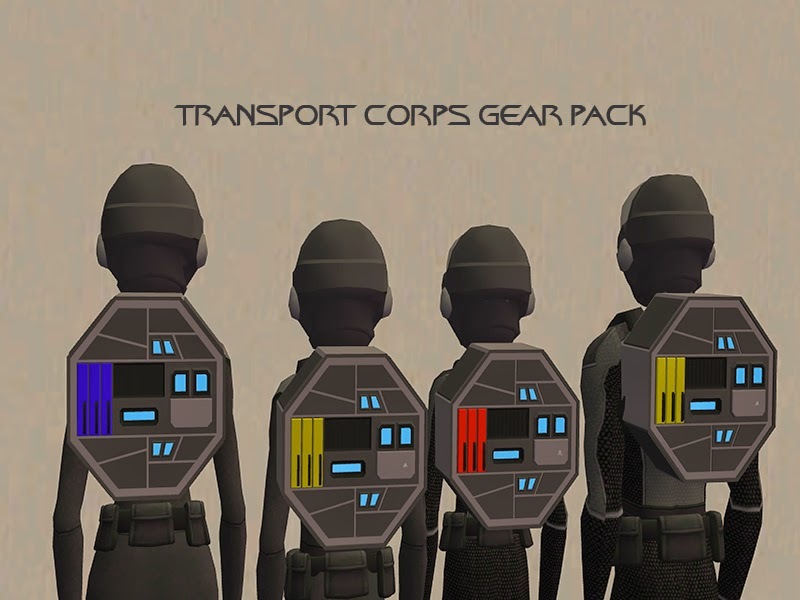 The same designs are available: with the VOY-type emblem, with the STO-type emblem, or plain, and I've added some cool-loking battery-things. Glad you like it. I don't think I put these up at MyB because they're so geekishly sci-fi. I have a lot of unique stuff that I only put here. I'm happy you found my blog, and I'm glad you enjoy my work. It is awesomeeee *0*!!! Now that I am doing a sci-fi story is another world and I need stuff that are not common at all :o ... but I am glad that you have done them TwT!!!! really thank you >w<!!! !